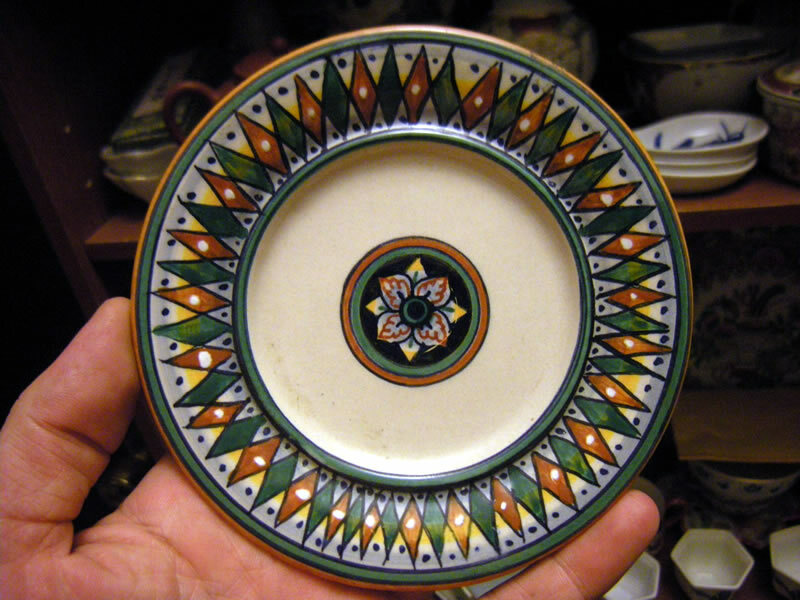 I've been quite busy over the last couple of weeks, so have been neglecting to update this blog with my various studio pottery finds in my collection and since I just took some photos of this little plate signed Ravello, I decided to write today. Last week I found this beautiful little ceramic plate in a thrift shop. It appears to be wheel thrown and shows all the characteristics of being hand made. It is painted with some sort of raised enamel & then was glazed. 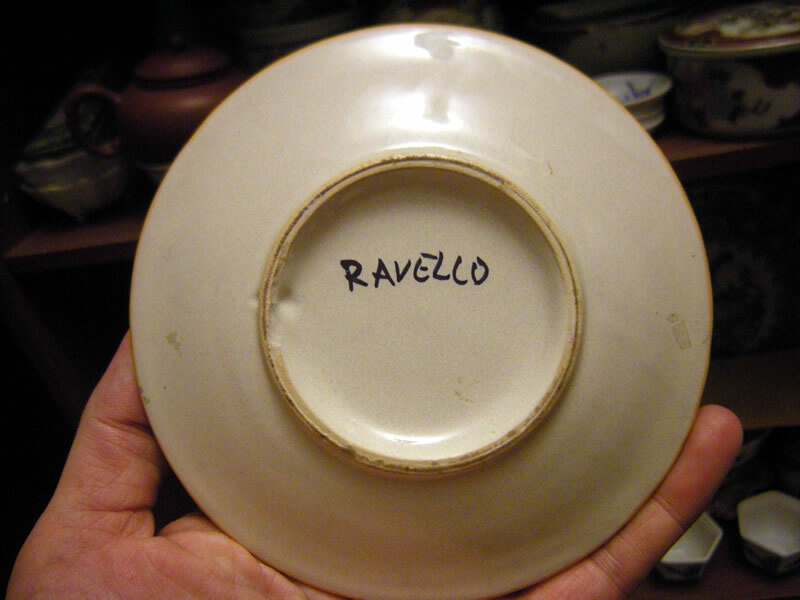 The bottom of the plate is signed Ravello, and at first glance I thought it was a studio pottery artisan's name signed with a Sharpie, however, after a quick Google search, it turns out that Ravello is a town on the Amalfi Coast of Italy, a town known for their beautiful hand crafted and hand painted ceramics. I don't know which specific Ravello artist made this little plate, but it's beautiful and am happy that I found it. If anyone knows who may have made this, or its possible age, naturally a modern piece from late 20th century I believe, but also possibly 21st century. I honestly don't know, but the piece does show signs of age, so, maybe it's a little bit older than I think. I'm not sure what the pattern or style is called, so if anyone reading this post knows the answer, I'd greatly appreciate your help.